I have been playing around with my newest toys: acrylic paints. 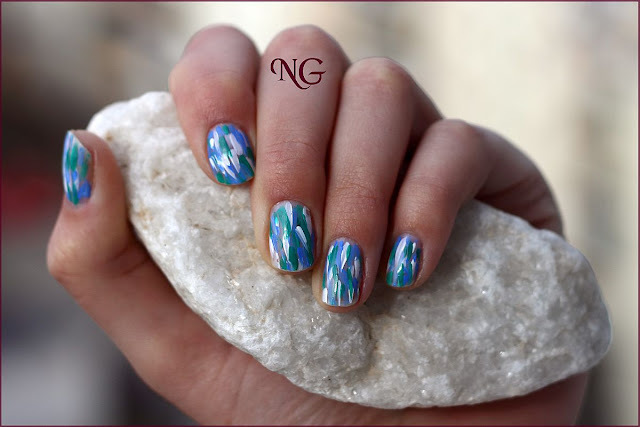 They are easy to apply and I find them perfect if you want to paint something more complex on your nails. 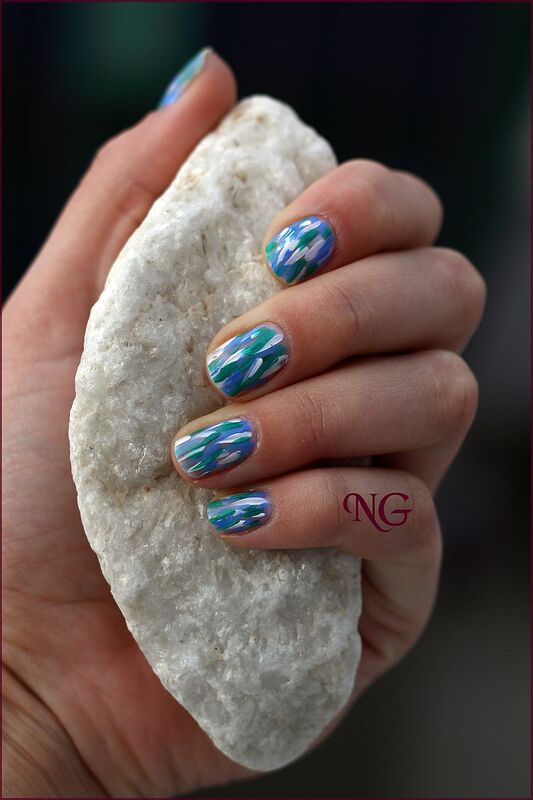 They are easier to use than nail polish and dry really fast. I applied these colors directly on the base coat. I absolutely love the result. 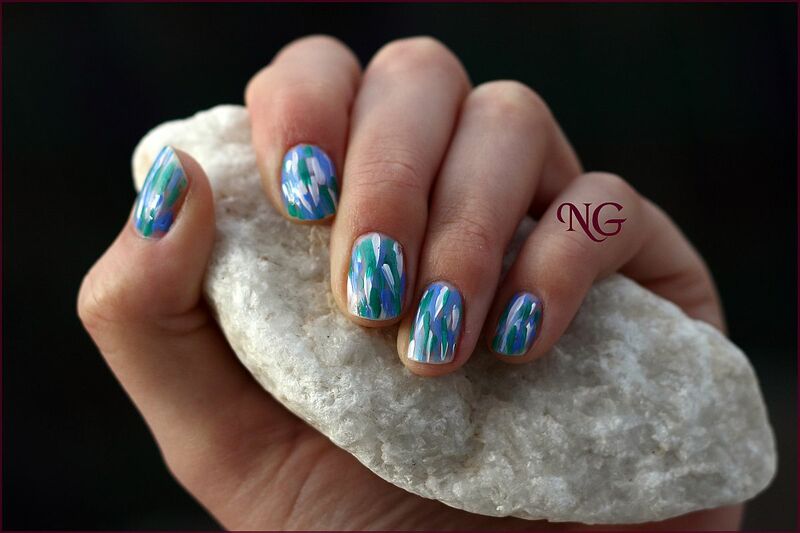 What do you think about this manicure? 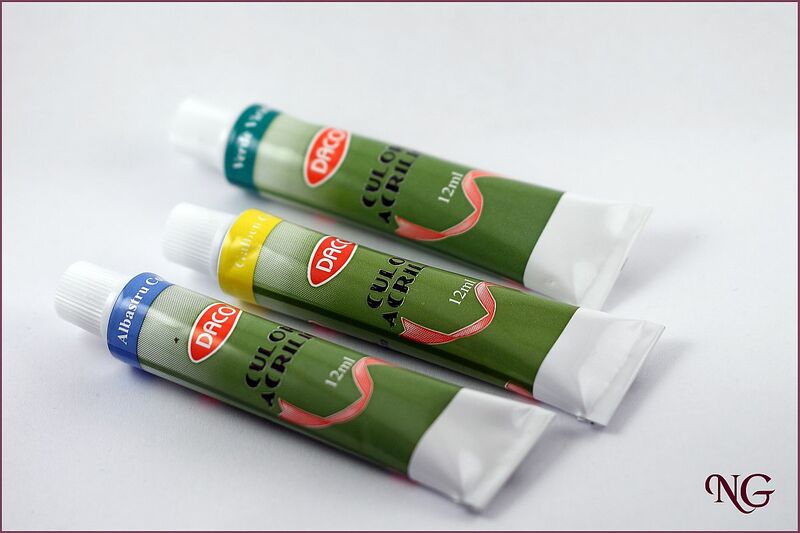 Am cumparat acrilicele de la papetarie si sunt fix modelul acesta: http://www.libraart.ro/detalii-produs/ProductsCatalog-Product/154-Set-12-culori-acrilice-DACO---12-ml/27-Culori-acrilice. Imi place la nebunie ce ti-a iesit!